“It's a cross between a stroke and a rub" says Arthur from his allotment by the Old Bridge, Ilkley as he described the technique required to remove elderberries from their stalks to make elderberry cordial. "If you use a fork or anything like that the little blighters will be all over the place" he continued. Arthur a lifelong gardener, now in his 80's and with a voice reminiscent of Alan Titchmarsh, gave me clear instructions on how to make elderberry cordial. 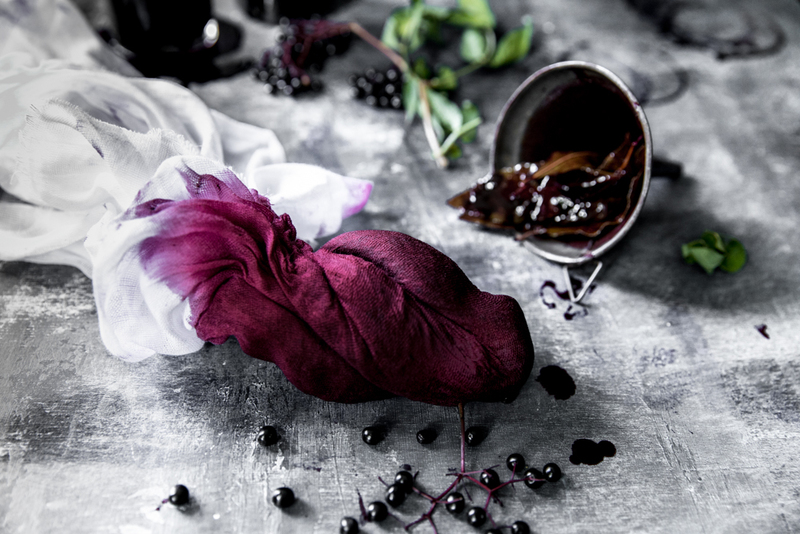 He recommended pouring a teaspoon or two of the deep, dark purple liquor over ice-cream, taking a little in hot water to sooth a tickly throat and, he gave me a glass of cool, freshly made lemonade spiked with a few drops to try on the spot. The flavours were spicy and fruity and made me think of all kind of other uses for this regal juice. I think it would marry well with apples, plums and pears. Interestingly elderberry syrup does have a place in the household pharmacopeia as a cough linctus. If you browse the cough medicines along the shelves of any big pharmacy you will come across Sambucus based syrup. The thick linctus soothes sore and itchy throats. The berries must not be eaten raw but can also be stewed and mixed with other berries in jams and compotes. They are too good to waste so enjoy collecting them and making this gorgeous syrup. This week has been busy. Last Saturday I ran my third food photography workshop at the School of Artisan Food. It was a great success with two of the students writing wonderful blogs about how positive their experience was. Beetroot and coffee - really? I have been inspired by colour this morning. Returning from running on a steely cold Ilkley Moor I was hungry and thirsty. I needed a drink and sustenance. I rooted around the fridge and store cupboards and came up with this wild, vivid pink, naturally sweet, exotic slurpy and really want to share the idea. At this time of the year the hedgerows are full of elderflowers. In the early morning light their flat white heads appear to hover in the dark green foliage. There are also soft pink and white bramble blossoms that signal their forthcoming dark autumn fruit. On my morning run through the woods I find more beauty in the form of hatched eggs shells and decide to celebrate this glorious time of the year by making a bucket of elderflower champagne. It should be ready for Le Grand Depart on Saturday 5th July. The race passes close to my house in Ilkley twice over the weekend.